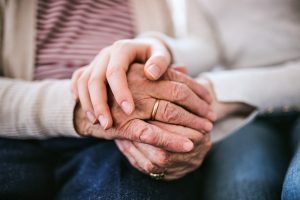 In a national phenomenon, professors across Canada reported a 75 percent increase in grandparent-related deaths among students—all within the three weeks leading up to exam season. Familial death isn’t the only life event that seems to skyrocket near the ends of November and March. Sociologists often notice many students have pressing doctor’s appointments, household emergencies, and sick cats and dogs. Douglas professor Kenda Chang reported that in this semester alone, no less than six aunts have succumbed to breast cancer. Other Press reporters asked Chang if she felt that some of her students may be lying in order to extend paper or exam deadlines. Reporters spoke to Ryan Caldwell, whose grandmother had unfortunately passed away on April 2. Students across the globe reached out to Other Press reporters to say that that was perfectly, totally, absolutely fine with them, no questions asked.